Today Irish folk-pop duo Saint Sister reveal the video for their single ‘You Never Call’. Filmed on two sides of the Atlantic, the video beautifully depicts a relationship complicated by distance between two young men. 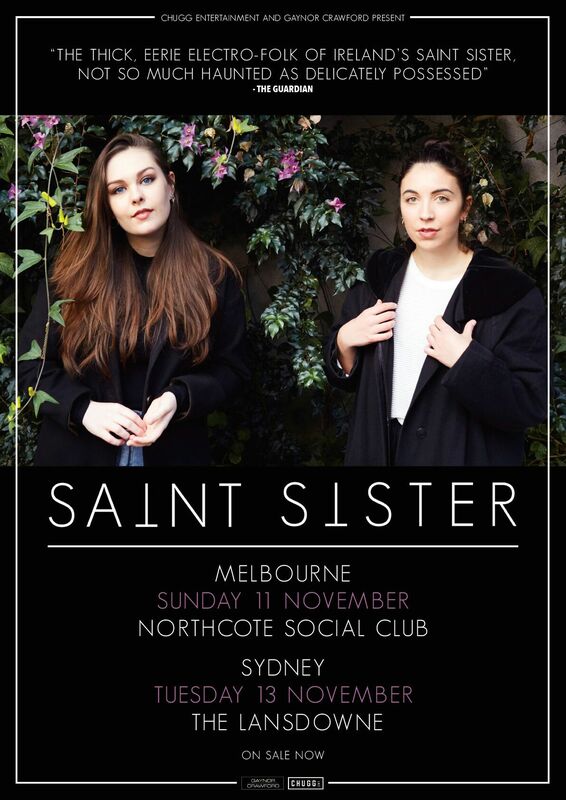 It is taken from Saint Sister’s forthcoming debut record ‘Shape of Silence’, out 5th October. ‘You Never Call’ is the fourth single off of their new album ‘Shapes of Silence’, out on 5th October. It showcases the band’s ability to create electro-pop overlaid with dreamy vocals and wholehearted lyrics. ‘Shapes of Silence’ was recorded with long term co-producer Alex Ryan of Hozier and is the band’s first album to date, following their efficacious 2015 EP ‘Madrid’. Hailing from the North of Ireland but Dublin-based, Saint Sister is Gemma Doherty and Morgan MacIntyre. The duo met at the University in Dublin and bonded in their desire to create music that represented their friendship and their ‘us against the world’ mentality. Full tour dates can be found on http://www.saintsisterband.com/.